Sussex Cricket have added two playersto their Academy intake for 2017. Thomas Clark and William Collard have both been added to the programme after they impressed on the Academy Tour of South Africa in December. Clark is an all-rounder who captained the Sussex Under-15 team to win the ECB Royal London County Cup last year. 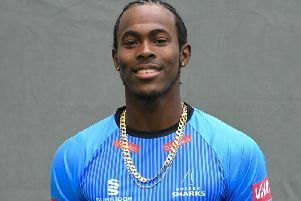 He has progressed through the County Age Group squads and the Ardingly College student, who is a left-handed batsman and bowls right-arm seam, has also played for Sussex’s Development XI in the Sussex Premier League. Collard, who studies at Hurstpierpoint College, has also progressed through the same route. The 17 year-old is a leg spinner and has also featured for Sussex’s Development XI. The Academy is a combined programme between the ECB and Sussex Cricket, and the initial intake of players was announced in October. Sussex’s Academy Director Carl Hopkinson said, “The tour of Cape Town is a key part of the Academy players’ development as it gives the youngsters good experience of playing in different conditions.